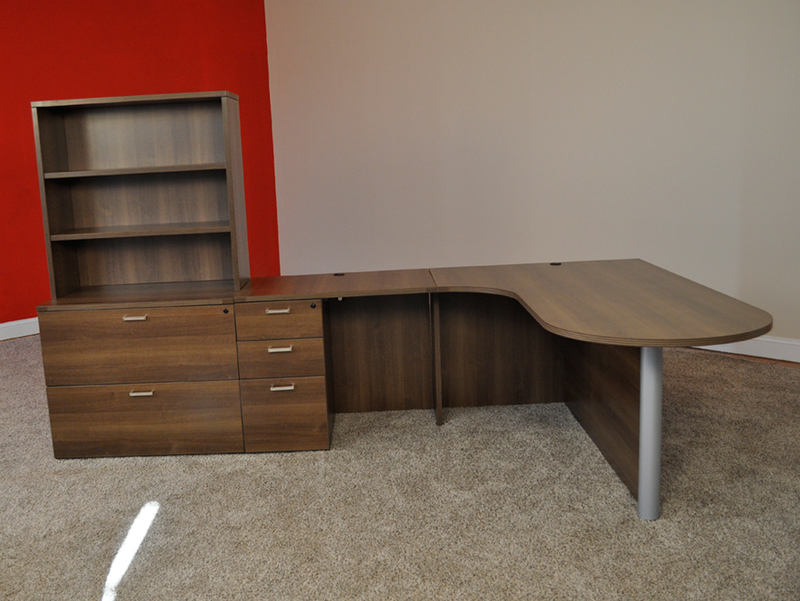 72" x 114" bullet L-shaped desk with (1) locking box/box/file pedestal, (1) 2-drawer lateral file and open shelf unit. Main desk is 72" x 30/42", return is 36" x 24". Must specify left or right handed.